A new UNESCO Category 2 Centre for Documentary Heritage was approved by General Conference in 2017, to be established in the city of Cheongju, Republic of Korea, as the International Centre for Documentary Heritage (ICDH). 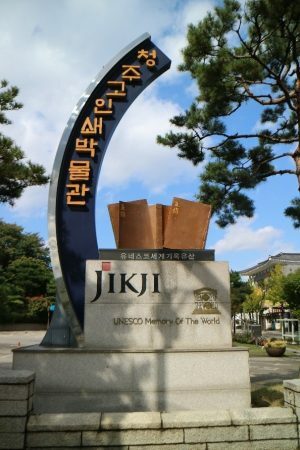 As part of the development of the ICDH, a number of MoW experts participated in a consultation meeting in Paris in April 2018, followed in late September by a second meeting in Cheongju that coincided with the award of the Jikji Prize. The expert group – Dr Ray Edmondson, Mr Jan Bos, Ms Joie Springer, Professor Kyung-ho Suh, Mr Papa Momar Diop, Dr Ramesh Gaur, and Dr Roslyn Russell ‒ provided feedback on the ICDH planning process before the workshop. This was discussed further in Cheongju at meetings that also included representatives of the National Archives of Korea and the Korean National Commission for UNESCO, and Dr Fackson Banda, Programme Specialist for the MoW Programme. 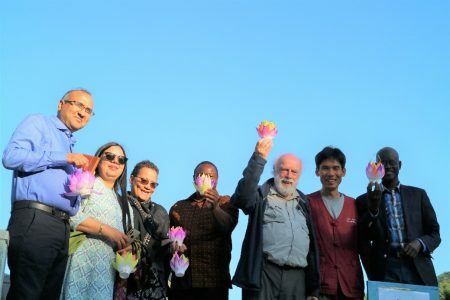 The group also visited the World Heritage-listed Beopjusa Temple, and crafted lotus-shaped lanterns. 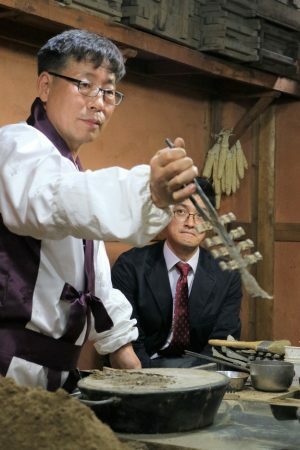 After the expert consultation meetings, the group visited a number of sites in Cheongju, including the Printing Museum, and witnessed a demonstration of sand casting of metal type by In Ho Lim, Metal Movable Type Master at the Cheongju Inheritance Center of Type Metal. The day concluded with the presentation of the Jikji Prize to Savama-DCI, an NGO in Mali, in recognition of its efforts to preserve ancient Islamic manuscripts from attacks by al-Qaeda-related terrorists.